The Lewistown Community Garden and the Central Montana Community Cupboard have combined their efforts to create a community garden where community members can grow vegetables for their families or to donate to the Community Cupboard. 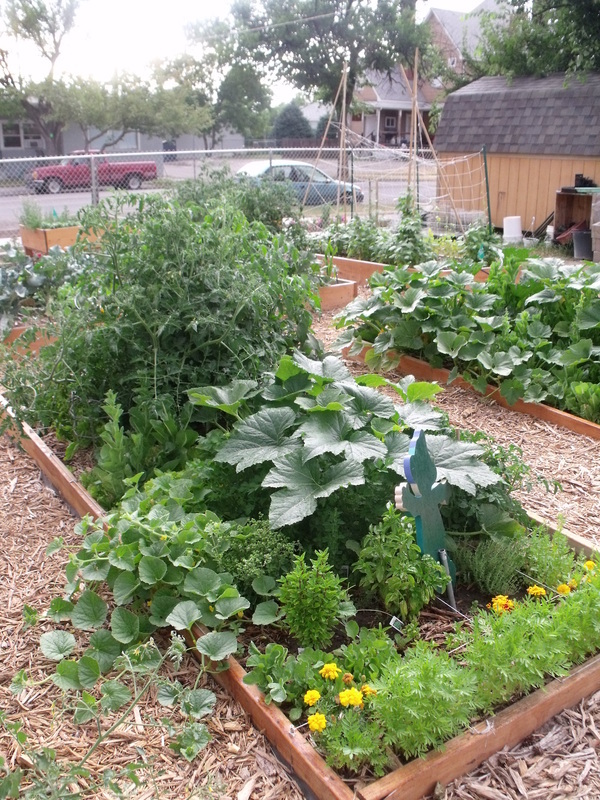 The Lewistown Community Garden (LCG) project started in January of 2012. In their first year the group built 18 raised garden beds, two of which were handicap accessible, and filled them with donated top soil. An 8′ x 12′ shed was built to house all of the donated garden tools and other items that would be useful to the gardeners. A chain link fence complete with two access gates was installed around the entire garden area. Landscape fabric was laid in the beds and wood chips were laid on top. Underground water lines were purchased and ready for burial this spring. In the first year of the program several beds were rented and those who rented beds had great success growing their own vegetables. The garden is strategically located in a central, well-travelled part of town so many community members stopped by and asked of questions about the garden and bed rentals. LCG advertised for the garden in the local paper their first year. This year they plan to put up advertisements in churches, with local clubs and other organizations as well as in the paper to really get the word out. The LCG project is just getting off the ground and they hope to maintain their partnership with Central Montana Community Cupboard, the board and other interested community members to keep the project going. This years goals include renting all of the beds and creating a place where people of all ages feel encouraged to garden and produce their own vegetables. In the future LCG also hopes to include an educational component to the garden. For more information, visit the garden’s website: http://www.enjoylewistown.com/index.php?option=com_content&view=article&id=1&Itemid=2. Posted in Fergus, Healthy Eating, Programs, RHI Incubator Mini Grant Project.